We catch up with jet setting US DJ/producer Darin Epsilon as he releases his much anticipated ‘Thousand Winds EP’ on Perspectives Digital. Hi Darin, thanks for joining us here once again. How are you and whereabouts in the world are you at the moment? My pleasure! At the moment I’m sitting comfortably at home in Los Angeles but about to leave for Playa Del Carmen and San Diego this weekend. You’ve already released on some well respected imprints. Sudbeat, Renaissance, Hope, and Selador come to mind. Now you’re returning to your home imprint Perspectives Digital for a brand new 4 track EP. It’s a quite a borderless approach you’ve taken on the tracks. Was this something you were conscious of while working on them? I actually didn’t have an EP in mind while creating these tracks. The release is a culmination of my work in the studio during the past 6 months. I’ve been steadily releasing since 2007 so it was nice to try something different and have fun experimenting and blending different genres together. For example in ‘Jumeirah’ you’ll hear a rolling Techno bass groove combined with Deep House chords and a Progressive House atmosphere, a unique combination that I don’t believe has ever been heard before. You’ve done a lot of collabs thus far in your career, it’s obviously something you enjoy. The first track on the release is a collaboration with Matan Caspi. How did this one come about and tell us a bit about the production process behind it. A mutual friend of ours made this suggestion, so Mat and I linked up and tossed an Ableton Live session back and forth for about a week. We made this peak hour club track using a sample of a traditional Chinese instrument. ‘Thousand Winds’ is one of the most complex songs I’ve ever done (if you listen carefully you’ll hear all the subtleties) but it was an extreme joy to work on and I’m definitely looking forward to collaborate with Mat on future projects. Now that your ‘Thousand Winds’ EP is out, I believe you have quite an impressive run of releases ready for the remainder of 2016. What can you tell us about them? I just wrapped up a remix for Sudbeat and currently working on something special for Global Underground. You’ll have to follow me on Facebook and Twitter if you want to find out what it is 😉 In July and August you can also expect forthcoming releases on Parquet Recordings, Proton Music, and Chapter 24. What can you tell us about the upcoming Perspectives Digital schedule? Next month we’ll be releasing an EP by Roger Martinez with a remix by D-Formation & Rick Pier O’Neil. We’re also beginning to compile for our next various artists compilation. These are usually our best selling releases of the year. Any producers that want to participate can submit their music via our DemoBox: http://label-worx.com/demo/perspectivesdigital All submissions are welcome, we would love to hear from you! This month sees the 100th episode of your Perspectives radio show. It’s quite a monumental achievement and actually where the Perspectives brand originated I believe. What do you have in store for episode 100? Thanks! I’m one of only a handful of artists in our genre that has ever reached this milestone. I’ve compiled a 2 hour set for Episode 100 that features many of the big tracks from my recent South America tour. I’m really grateful to have such amazing listeners these past 10 years! They are my inspiration and reason for doing so many mixes year after year. You’ve been touring pretty extensively the last year, some in conjunction with Cid Inc. Your back to back sets, particularly in Argentina have garnered a massive response. How did your first gig together come to be? And when did you know that this partnership could become an ongoing project? 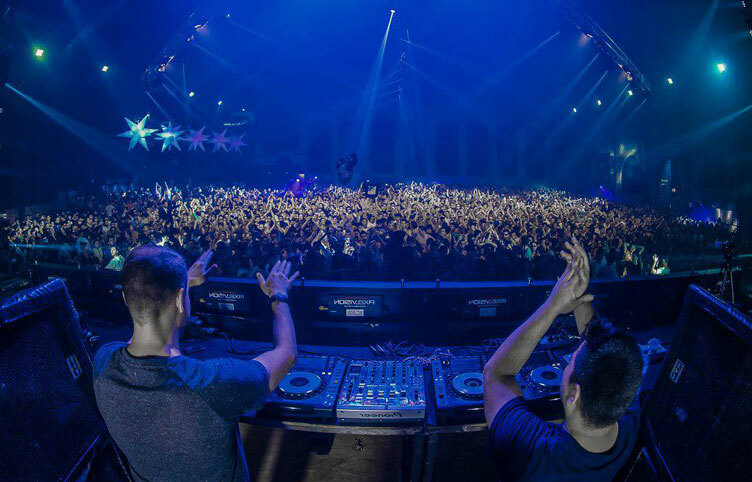 Ministry of Sound London was our first B2B performance. Prior to that we had played a show together in Mexico City but not as a duo. MOS actually insisted that we do the show B2B since the show came right after our ‘Outliers’ Beatport remix contest. It’s been amazing to see the huge response around the world! I have collaborated with many different artists in the past but people are most excited when I pair up with Cid. Our styles complement each other perfectly and it’s a great partnership since we have strengths and weaknesses in different areas. Where can we expect to see you performing next? Thanks for the chat and updates, Darin!